With all the various games out there that are along similar themes, it's always nice to see a new spin on a subject. 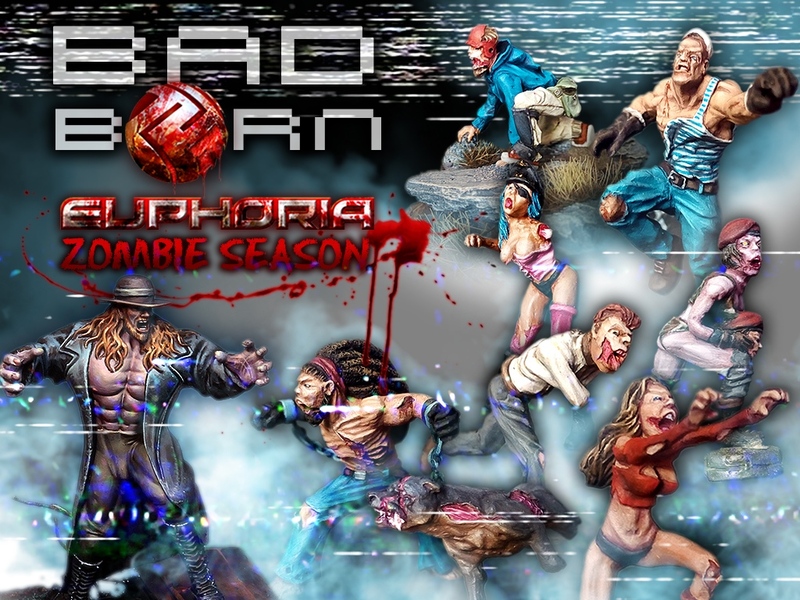 Euphoria: Bad Born is a new expansion for the Euphoria miniatures skirmish game that adds zombies. Well... they're kinda-zombies. They're not your George Romero-style, that's for sure. They're something just a little bit different. So, what sets these "zombies" apart? Well, they're not really zombies. You see, in the world of Euphoria, cloning is a regular thing. However, just like everything, it doesn't always go 100%. So sometimes you get a bad batch of clones. Well, instead of just throwing these mistakes of creation out, they're kept in cages and fed the dead flesh of contestants that didn't quite make it in the game. Well, they're then unleashed into the game to do what they will. See? A bit different than the shambling undead you're used to. Anyway, the "zombies" are there, as well as a bunch of new survival-style missions that you must make it through in order to get the cash and prizes at the end. The campaign's just shy of 2/3 funded with still 28 days to go on the clock.